This craft knife in a handy pen format with push-button mechanism to retract the blade is ideal for delicate, precise cutting work on paper, photos, film and thin cardboard. 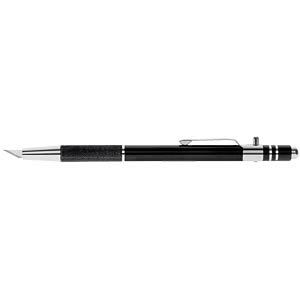 The blade shaft is made of anodised aluminium and has a convenient pocket clip and a non-slip ribbed grip. When the blade is retracted, the push-button knife can be stored anywhere - without risk of injury. 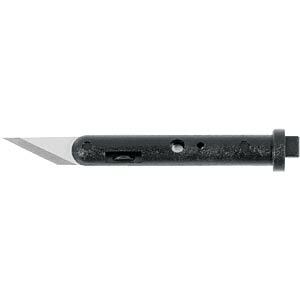 The extremely sharp 30-degree blades are made of high-quality, stainless steel. The blade is replaced in a similar way to a ballpoint pen cartridge.